Best For Kids Because: Includes in-room games, on-site entertainment, and a great location: less walking tired little ones around! What We Like: Bright and airy style with a more contemporary feel, central location, great bargain. What We Don't Like: Small rooms, does not offer childcare, pool is 21+ only. The LINQ, formerly the Imperial Palace Hotel and Casino, underwent a name change and a $230 million-dollar makeover that brought the property out of the past and into the now. The LINQ is a great find for casual easygoing families who don't have to be in the lap of excess luxury to have a great time. The décor is modern yet unpretentious, full of personality and warmth. Room sizes range from a 300-square foot with two double beds to a 1,067-square-foot penthouse. Room service and laundry service are available upon request for a fee. The usual check-in and check-out times are 4 PM and 11 AM. Early check-in and late check-out can be requested for a fee. The LINQ participates in the Caesars Entertainment Total Rewards program. The LINQ has a great central location and shares a Las Vegas Monorail stop with Harrah's. The monorail is a great kid-friendly mode of public transport that gets your family to the MGM Grand, the Excalibur, and New York - New York in minutes! These hotels offer many family-friendly attractions and activities you won't want to miss. There are also plenty of great child-friendly activities within walking distance. 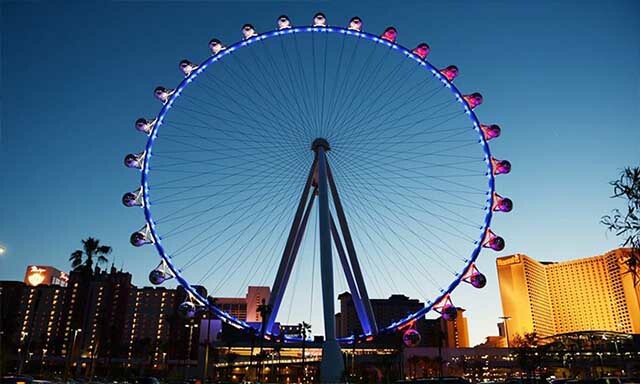 This exciting Las Vegas attraction is the world's tallest observation wheel and the centerpiece of the LINQ Promenade. Measuring in at a staggering 550 feet tall, it takes the High Roller 30 minutes to complete a full revolution. The wheel houses passengers in climate-controlled glass pods that hold up to 40 people apiece. Beverages are available for purchase. Kids 6 and under ride free. Buy online and get special discounts! It's a bird! It's a plane! 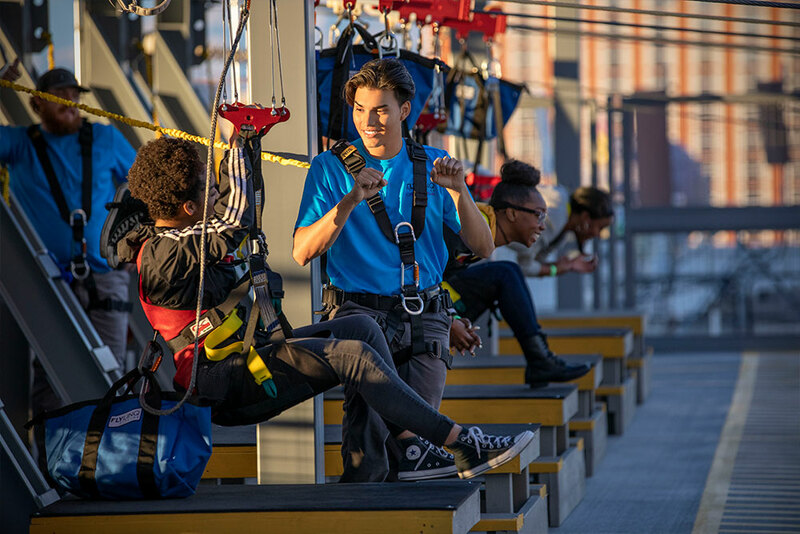 It's the Strip's only zipline! Get ready for 12 stories of sky-high heart-pounding excitement! Riders can choose to be seated or do their best Superman impression with Superhero style. Riders must weigh between 60lbs and 300lbs (27kg - 136kg) and be at least 40” tall. Riders under 18 years old must have a parent or guardian sign. 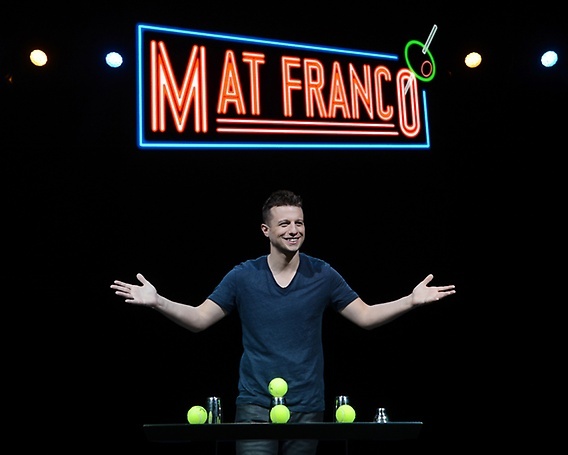 "America's Got Talent" winner Mat Franco brings his signature blend of magic, heart, and charm to the LINQ Theater. What better way to top off a magical Las Vegas vacation than with a cutting-edge magic show? If you're not interested in the show, the Caesars Forum Shops offers some of the Strip's best shopping with options to suit every budget. It's great for browsing, picking up some souvenirs, or just escaping the desert heat. Looking to relax with some great tunes and "how did he do that?" delights? Harrah's is the place to go! The Mac King Magic Show blends quirky family-family humor, stunning sleight of hand, and goldfish (yes, goldfish!) into one incredible all-ages treat. Think you're too old for magic? Think again! Music lovers will enjoy the free Big Elvis comedy hour! Get up close with one of the country's finest Elvis impersonators as he sings and dances his way through a catalog of all-time rock n' roll classics. Don't hear your favorite? Request it! The show is full of audience interaction. This isn't your average backyard hot dog! At Haute Doggery, there are hot dog options for even the fussiest young eaters, with toppings like smoked bacon, cheddar cheese, truffle mayonnaise, and more. Pick from one of the signature Haute Specialties or customize to your heart's content. Just remember to save room for fries! Haute Doggery is open from 10 AM to midnight Monday to Thursday and 10 AM to 2 AM on Friday and Saturday. As the out-the-door lines testify, yes, they're that good! Located in the LINQ Central Plaza next to the Brooklyn Bowl, Sprinkles features high-end signature cupcakes made with the finest ingredients for a confection experience you have to taste to believe. The menu changes daily with a rotating cast from around 30 flavors. Can't decide between cupcakes and ice cream? With the Sprinkles Sundae, you don't have to! A scoop of ice cream is sandwiched between cupcake layers, giving you and your family the best of both worlds. Not interested in standing in line? Check out the Cupcake ATM! Sprinkles is open from 10 AM to 12 AM Sunday to Wednesday and 10 AM to 1 AM Thursday to Saturday. It's hard to go wrong with pizza, but Flour and Barley is no ordinary pizza joint! Artisan brick ovens produce dreamy slices of cheesy heaven, baked hot and fresh just for you. Vegetarian and gluten-free options are available for those with dietary restrictions. Be sure to dine during Happy Hour (2 PM to 6 PM on weekdays) for special deals for the whole family. Eat inside or soak up the scenery outside on the 1,200-square-foot patio that opens right to The LINQ entertainment district. Craving pizza on the go? Walk up the the take-out window and grab a slice! Flour and Barley is open daily from 11 AM to midnight. Other great options on the Promenade include Guy Fieri's Vegas Kitchen & Bar, Canter's Deli, Gordon Ramsay Fish & Chips, Ghirardelli Ice Cream and Chocolate Shop, and more! In short, no the LINQ doesn't offer childcare. But most of your time in Las Vegas will be spent enjoying activities as a family. If there's an occasions when some alone time away from the kids is desired, check out these Las Vegas childcare options. The LINQ charges a daily $39.68 resort fee. Summing UP: Is the LINQ kid-friendly? The property's reinvention over the past decade has transformed the LINQ into a much more family-friendly environment than its previous incarnations. On-site attractions like the High Roller and unfussy cuisine options are geared more towards families, and its supremely convenient center Strip location is within easy walking distance of many other child-friendly activities. The LINQ is well within most budgets and doesn't require extravagant spending for a good time.